Singha Durbar was built by Chandra Shumsher Rana in 1924 and was once the largest palace in Asia. 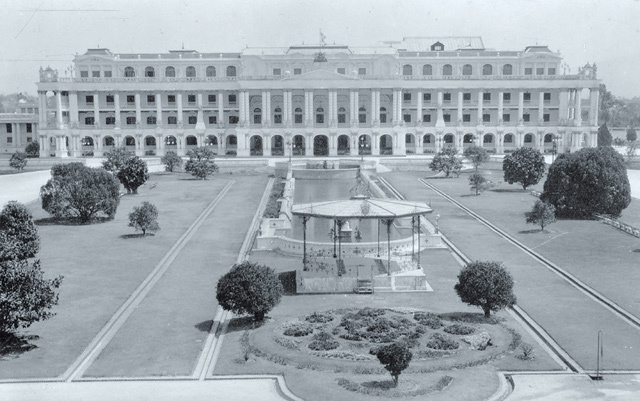 After the fall of the Ranas, it became the seat of government, the front façade that survived a devastating fire in 1972 was badly damaged in the 2015 earthquake. No one is better placed to pen the history of the rise and fall of the Ranas than Sagar S.J.B. Rana. He is a family insider and political outsider, an Oxford-educated great grandson of Prime Minister Chandra Shumsher, grandson of hardliner Gen Baber Shumsher, son of educationist Mrigendra Shumsher. Sagar Rana comes from a liberal intellectual branch of the dynasty known for a century of iron-fisted rule. His brother Bharat has been a lifelong democrat who set up the Gorkha Parisad that eventually merged with the Nepali Congress, another brother Jagdish is a man of letters. Sagar himself joined the Nepali Congress heading its International Department. His son, Udaya, is the Nepali Congress MP from Lalitpur. 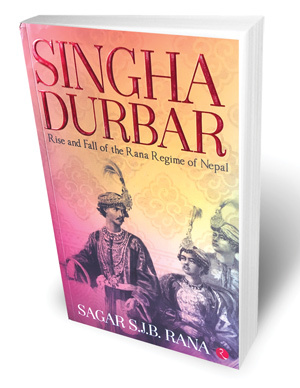 This inter-generational involvement of a Rana in Nepal’s democratic politics makes Singha Durbar: Rise and Fall of the Rana Regime of Nepal a compelling and unprejudiced history of Nepal’s other royal family from 1847-1951. Sourced from archival material, historical memoirs in Nepali, interviews with members of the Rana clan, and an unpublished diary of his father, Sagar Rana’s book is meticulously researched and in places moves like a thriller. He starts with the gory events at the Kot in 1847 that led to the rise of his ancestor, Jung Bahadur Kunwar, to be pre-eminent while the Shahs bickered, and the Pandes, Thapas and Basnyats carried on their feuds. The Kot, the book reminds us, was not as bloody as Bhimsen Thapa’s culling of nearly 100 members of the nobility three decades previously. Despite his ruthlessness, Jung comes across as a strategic thinker who has the national interest foremost in mind as he embarks on a trip to England in 1850. It is a spy mission: Jung wants to gauge Britain’s military prowess and to see if it is worthwhile risking war to regain territory lost in 1816. Suitably impressed with the ordnance factories and the naval yards, Jung and his dynasty remain staunch Anglophiles for the next 100 years. The British found the arrangement mutually beneficial. When they were being butchered in the 1857 mutiny, Jung led troops under his own command to rescue them, but not before pre-negotiating payment from the Raj for revenue lost between 1816-1857 from territory Nepal ceded to British India after the Sugauli Treaty, and the return of the western Tarai. An important reason for Britain to want stable relations with the Ranas was Gurkha recruitment, and Chandra served the British well, sending Nepali troops to Waziristan, and to Gallipoli and Belgium in WWI. Twenty years later, Nepalis were again fighting and dying in Burma and Europe in WWII. Some 50,000 Nepalis were killed in the two wars at a time when Nepal’s population was barely 2 million, emptying the countryside of two generations of young men. Like his forebear Jung Bahadur, Chandra knew how to cash in on goodwill. He hosted Lord Kitchener, invited King George VI and Prince Edward for tiger hunts, softening the British establishment to sign the Anglo-Nepal Friendship Treaty of 1923 that firmly established Nepal as a sovereign nation apart from semi-independent princely states in India. Sagar Rana implies that we should not judge Chandra and Jung with retroactive correctness. They may have been ruthless, but they were always keenly aware that their personal and family fortunes were tied with a strong and independent nation state. Unlike other members of his family, Chandra was not as openly promiscuous as some of his relatives and much more of a workaholic, cunning at statecraft and astute in geopolitics. Singha Durbar contains fascinating details of how the Ranas tried to salvage their power as the democracy movement gathered pace. The threat came not just from Nepali students educated in India who were influenced by the anti-British movement, but also from within the Rana clan from the likes of Mahavir Shumsher, flamboyant businessman and once one of Calcutta’s richest men, and Subarna Shumsher whose liberal education made him fight feudalism. The dynasty was also imploding because of the brewing rebellion among B and C Class Ranas, classified according to the caste and ethnic hierarchy of the wives and concubines who begat them. The second half of the book is a blow-by-blow account of how the anti-Rana resistance took shape, the rise and fall of the Koiralas, the story of Biratnagar, the freedom movement in exile in Calcutta and Bananas and how it brought together a disparate group of Nepalis caught up in the Quit India Movement with Rana dissidents. Ultimately it was the home-grown revolt led by martyrs like Shukra Raj, Dashrath Chand, Ganga Lal and Dharma Bhakta that fired the resistance. Other activists, Tanka Prasad Acharya, Ganesh Man Singh, Ramhari Sharma waged an underground movement at considerable personal risk. As the pressure from within Nepal and outside grew, half-hearted reforms by Bhim, Juddha, Padma and finally Mohan were too little too late to quell the revolt. The Ranas had hoped that Gurkha recruitment would work again to cushion them against Indian pressure, but times had changed. India’s independence had already put the dynasty on the wrong side of history. Sagar Rana has finished writing a sequel, tracing the trajectories of some of the cast of characters from Singha Durbar in the period between 1951 to the present. It should be just as fascinating a read about historical lessons not learnt, and of freedoms fought for and squandered over and over again. Indian politician Karan Singh writes in the Foreword how his ancestors’ Dogra kingdom and the Rana regime were both established in 1847, his father Maharaja Hari Singh of Kashmir and Mohan Shumsher both stepped down around 1950, how he married Yasho Rajya Laksmi, the grand-daughter of Mohan Shumsher, and was sent by Indian Prime Minister Man Mohan Singh in 2006 to convince King Gyanendra to restore parliament. If Gyanendra had listened earlier, perhaps Nepal would still be a monarchy. As Chandra Shumsher conspires to unseat Dev Shumsher in 1901, he uses a hunting trip in Chitwan by Governor General Lord Curzon to get a tacit nod from the British for his planned family coup, much in the same way Nepali politicians today jet to Delhi before toppling governments to seek blessings. Chandra Shumsher tried to ban animal sacrifices, but was over-ruled by his priests. So, he brought a revered Indian swami to a public debate in Kathmandu which the pro-sacrifice clergy won. The debate goes on today with the mass slaughter at Gadimai. 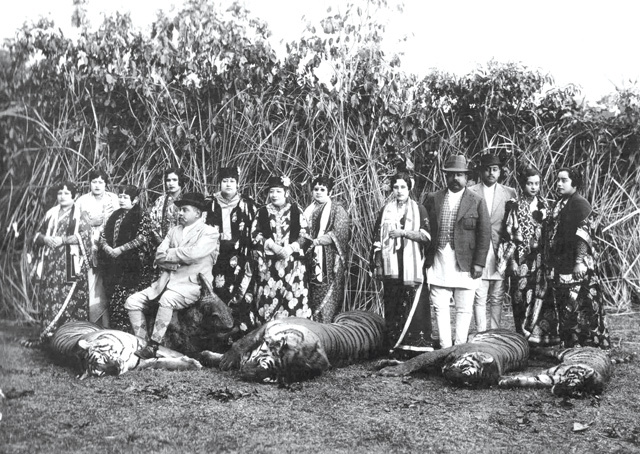 One of many Rana hunting trips in the Tarai, Juddha Shumsher in the 1930s with trophies. As Britain prepared to go to war against Germany in 1939 the Ranas debated whether to offer troops. Padma Shumsher argued that ‘the Nazis were better prepared to emerge victorious and Nepal should back the winning horse, or remain neutral’. Nepal sent 200,000 troops to Europe, Malaya and Burma anyway. Mahavir and Subarna Shumsher, despite being Ranas, favoured a militant approach to overthrowing the oligarchy, even setting up the Jana Mukti Sena — the exact same name given by the Maoists 40 years later to their People’s Liberation Army. J.P. helped B.P. get arms from his social democrat friend U Nu in Burma, and Mahavir Shumsher sent two of his Himalayan Airways DC-3s to Rangoon to fly the weapons to a disused WWII airfield near Patna. On board was journalist Bhola Chatterjee, and Thir Bam Malla. To evade Mohan Shumsher’s spies, the role of intermediary between King Tribhuvan and the Indians was played by German physiotherapist Erika Leuchtag. The two had a code word for Mohan: ‘Goebbels’. Boris Lissanevitch of the 300 Club in Calcutta (and later Royal Hotel in Kathmandu) facilitated Tribhuvan evading his Rana guards during a visit to Calcutta to deliver a letter to Nehru agreeing to overthrow the Ranas. Rare photo of the triumverate of the interim arrangement after 1951: last Rana prime minister Mohan Shumsher, King Tribhuvan and Home Minister B. P. Koirala. Mohan Shumsher made a last-ditch attempt to garner Indian support by signing the 1950 Treaty of Friendship and Cooperation that addressed India’s security concerns vis-a-vis China. The treaty is seen to have been forced on Nepal and remains controversial to this day. 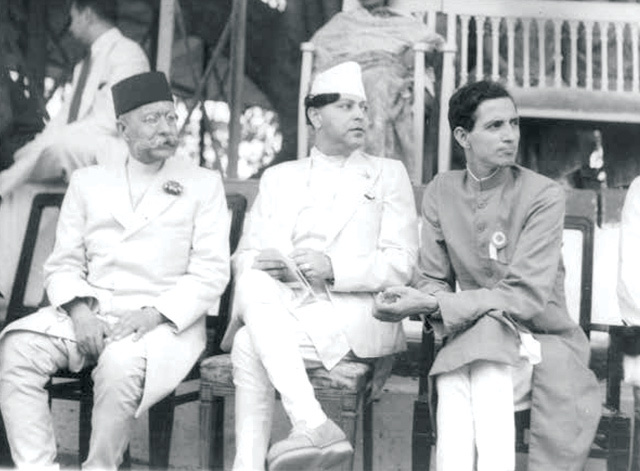 Mohan sent SOSs to Washington and London to recognise Gyanendra as the new king after Mohan Shumsher left for Delhi, but Nehru ‘persuaded the Anglo-American lobby to refrain from any hasty step’. In 2006, the Anglo-Americans abandoned Gyanendra again. 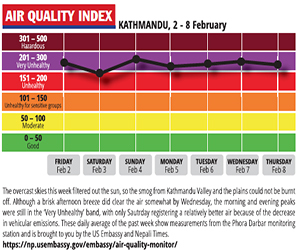 When the British dispatched a delegation to Kathmandu to assess the situation, the Indian Embassy in Kathmandu got B.L. 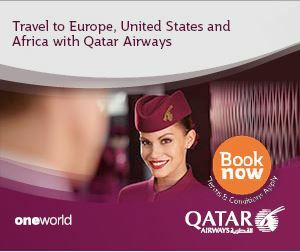 Sharma and others to organise a protest at Gaucher airport that turned into a full-scale riot. Anti-Rana forces found out that Tribhuvan was under ‘guest house arrest’ at Hyderabad House in Delhi, and they launched armed attacks in Nepal capturing Birganj. Nehru was furious, and again pressured the British and Americans to follow ‘the middle path’, much in the same way India got them to back its ‘twin pillar’ doctrine in 2005. The 5-point Delhi Compromise of 1950 itself seems to have been a harbinger of the 12-point agreement between the seven political parties and the Maoists in Delhi in November 2006, establishing a tradition whereby every big crisis in Nepal is resolved with Indian mediation. The new education policy aims at making primary-level learning "joyful" and involving communities in their childrens schooling.